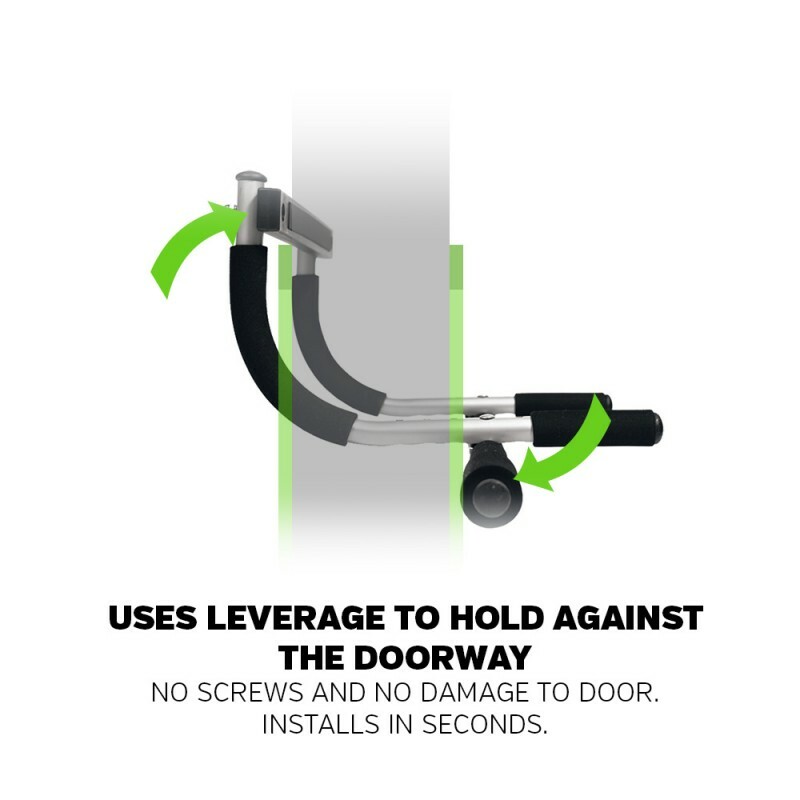 Uses leverage to hold against the doorway. 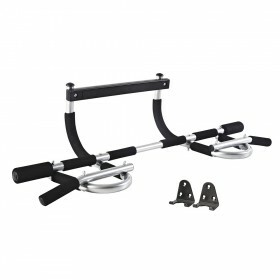 Installs and removes in seconds! 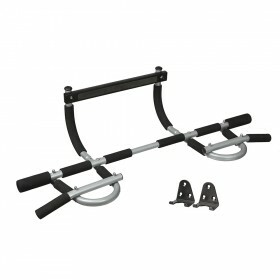 From the makers or The Original IRON GYM® Workout bar, here comes the Adjustable IRON GYM+, with extended cross bar! 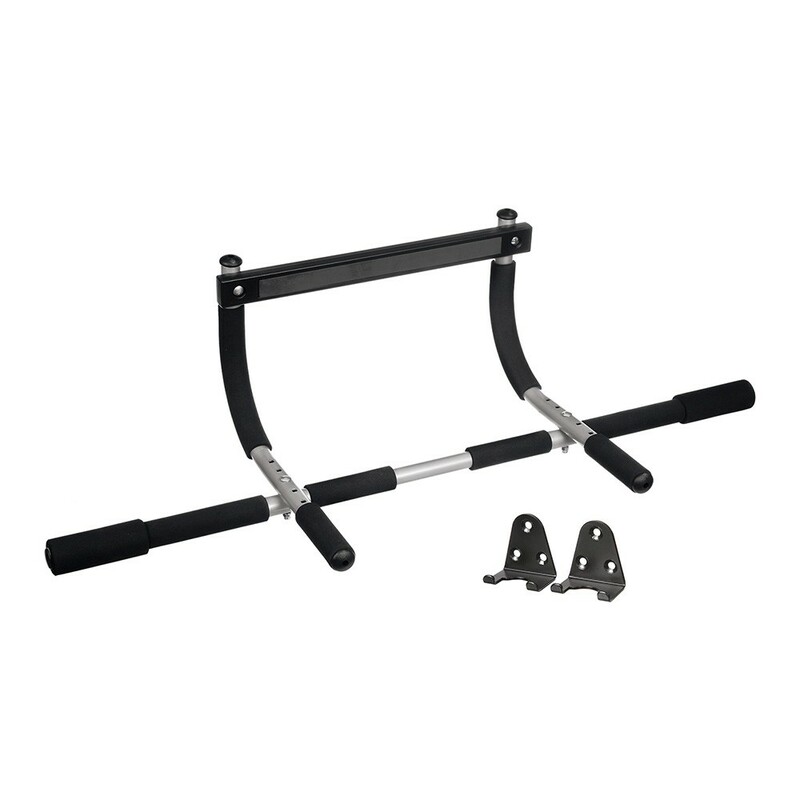 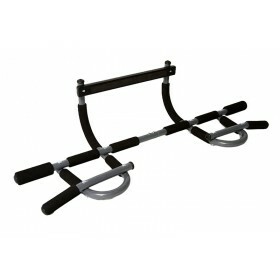 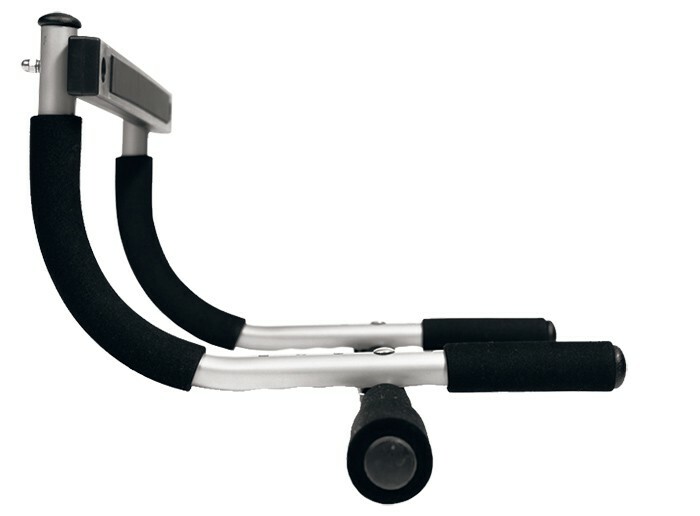 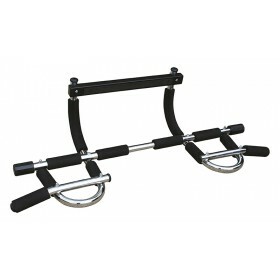 IRON GYM®+ is an adjustable version of the original IRON GYM® workout bar. 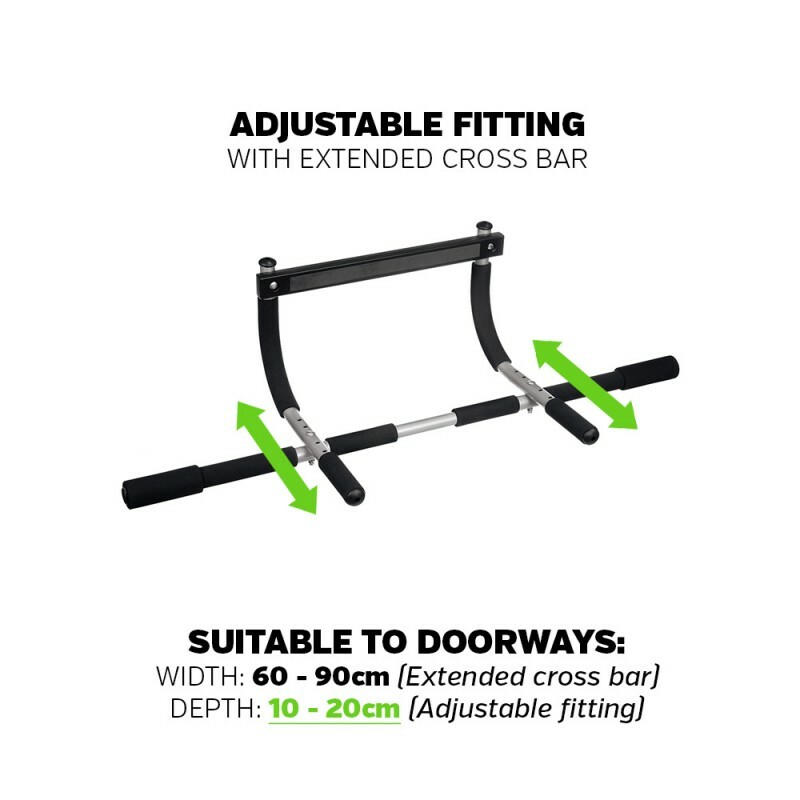 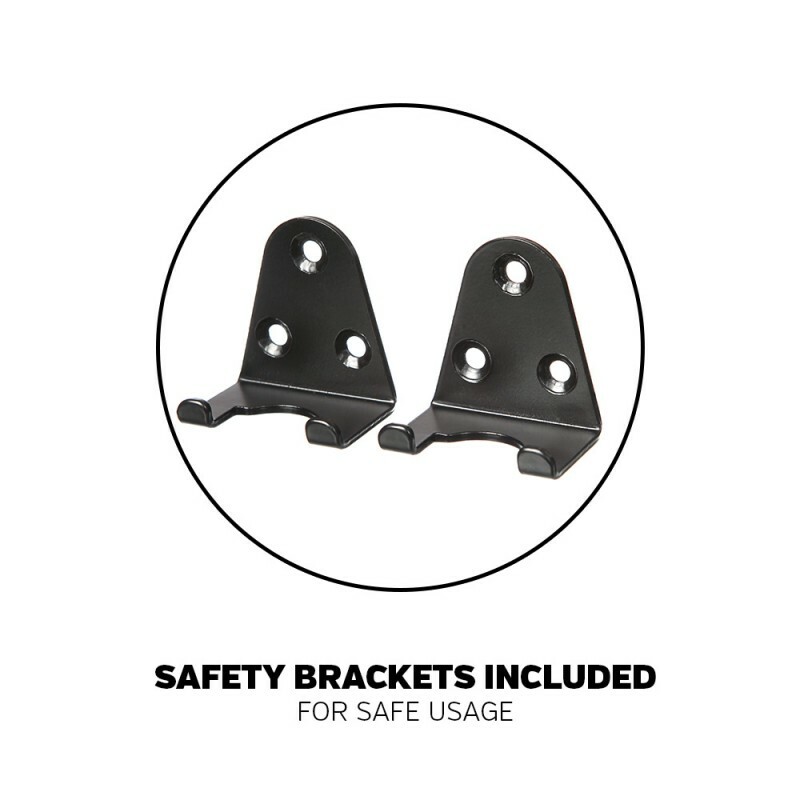 Adjustable construction enables the workout bar to be fitted into any standard door frame, wall thickness is no more a barrier for your home training! 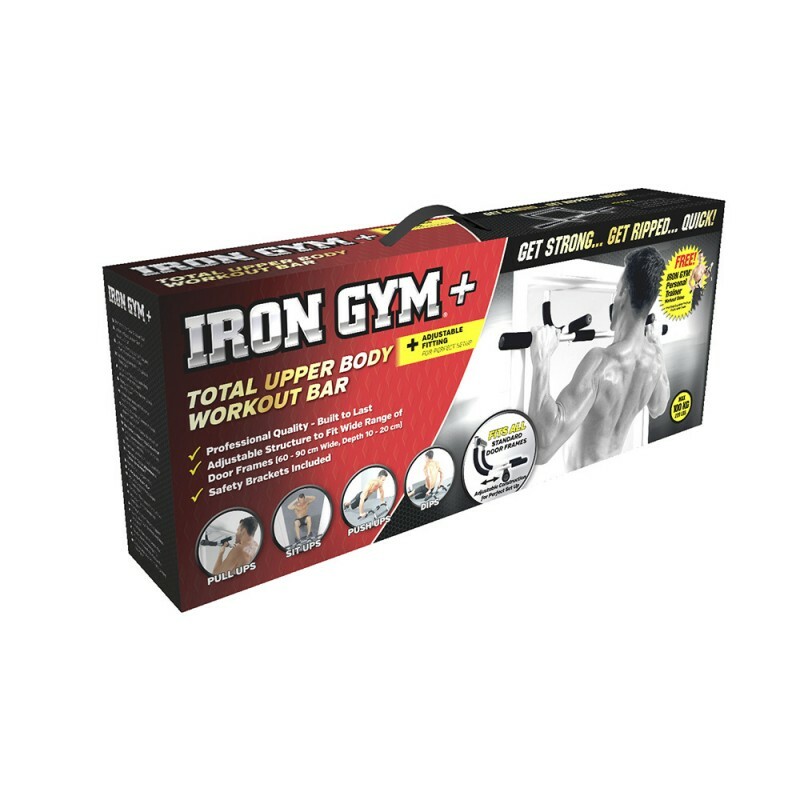 Transform your doorway into a gym – IRON GYM+ is the multi-function exercise bar you can use to do pull-ups, chin-ups, push-ups, sit-ups, dips, arm and shoulder exercises – every exercise you need to build a powerful upper body!